Designed by legendary golf course architect Tom Fazio, the parkland-style, 18-hole championship public golf course at The Frog Golf Club opened in 1998 to high acclaim. 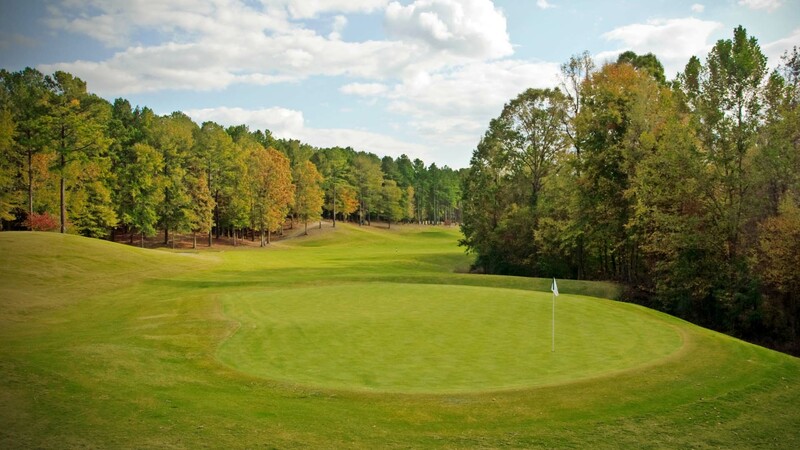 The Frog is recognized among the top courses in Georgia, and is located just 40 miles from downtown Atlanta off I-20 in Villa Rica. The course is complete with bentgrass greens and expansive bunkering, and has also attained status as an Audubon Cooperative Sanctuary. The Frog has hosted many notable golf events including the Georgia Open, CEO Jaguar Tour, The Five Star Celebrity Classic and the John Smoltz Celebrity Players Tournament. Our course management team works diligently to maintain the well-manicured course, and excellent service levels are all part of the visitor experience. Come out and see us today! The Frog is one of Atlanta's most popular golf courses for hosting tournaments and outings. Whether you're hosting a 32-player church event or a 280-player fundraiser, The Frog is the ideal choice.